A smoke bomb thrown by a Liverpool faithful during Sunday night’s encounter between the Reds and Chelsea at Anfield injured a 9-year-old Blues fan with special needs. The young kid namely Donte Patterson-Stanley became “confused and anxious” as revealed by her sister, who was also present at the away stands. Liverpool beat Chelsea 2-0 at Anfield on Sunday, courtesy of goals from Sadio Mane and Mohamed Salah, to regain top spot in the Premier League. The much-awaited clash between the two English giants were a treat to watch. Both teams had opportunities to go in front in the first half, which ended goalless. Just six minutes after the restart, Mane broke the deadlock by heading home from close range after meeting a Jordan Henderson cross. It was the Senegal international's 21st goal in all competitions for Liverpool this season. While the fans were still celebrating the first goal, Liverpool talisman Salah scored the second within 2 minutes with a world-class strike, which Kepa had no chance of saving. 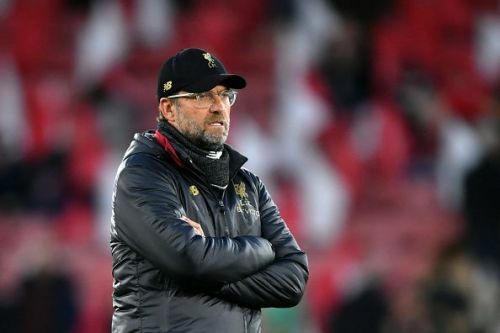 It was Liverpool’s 26th Premier League victory of the season, equaling the record of the 2013-14 campaign when they came really close to lift the Premier League title under the guidance of Brendan Rodgers. Despite the important win, the young Chelsea supporter getting injured during the clash was a piece of unwelcome news for Liverpool. According to reports, Donte suffered red, itchy and watery eyes and was seen coughing non-stop after the incident. Even the help of a nebulizer was needed to open his airways after breathing in the smoke for quite some time. Merseyside police have started investigating the Sunday afternoon’s incident during Chelsea's visit to Anfield. Meanwhile, the English Football Association are also taking the case very seriously and will investigate what really happened at the away end at Anfield. Liverpool will next face Porto in the return leg of their Champions League quarter-final tie on Wednesday night at the Estádio do Dragão in Portugal.